Do you like The Spring Standards? Of COURSE you do! And do you want to win a pair of tickets to see the very same Spring Standards beautifully and tenderly tear the roof off the Red Palace on September 20th? Of COURSE you do! Lucky for you, your ladyfriend here has such a pair to give you! 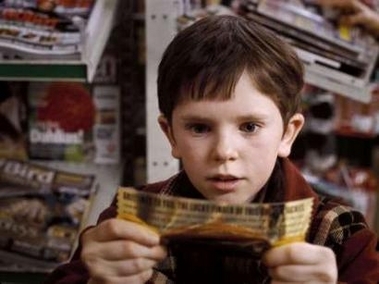 That's right, my loves, you could be as gleeful as young Charlie (old school or new school) when he unwrapped his Golden Ticket to begin his Wonka-tastic journey. But you won't even have to buy any Wonka bars to have a chance at these tickets, y'all. Just tell me why you are deserving of such a wonderful, joyous prize. That's it! Email me your best prose on the subject no later than noon on 9/19 to be entered. Bonus points, naturally, for creativity. Here's a little SS goodness to get your creative juices good and flowing. Smash Haus Music Group upends the traditional music licensing and custom music industry by directly engaging large media production entities in Television, Film, Advertising and New Media to create more value to these clients by creating music as an internal asset for them. Smash Haus technology is essentially a large scale production force that employs many top Hollywood music makers and industry workers to create scalable income. "We felt that it was important to get ahead of what is not working in the music for media industry. 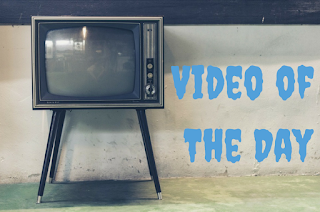 Advertising revenue is spread out, budgets are shrinking, YouTube and new media is overturning traditional TV, its just a fact. We decided to go into business directly with our clients and composers and create a work platform that was direct and could build value and income for all involved."